Whether you prefer an active alpine vacation, skiing or a health getaway, those well-earned pamperings are never neglected here in Gastein either. Allow your spirits to soar as free as a bird during a beauty or wellness program, true to our motto “close your eyes and enjoy”. Choose your own personal beauty experience: tried-and-true beauty and health treatments, the very latest methods to improve your skin complexion, Ayurveda marigold treatments, or perhaps the original Gastein haybath. 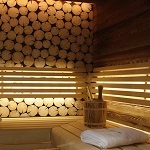 All of this and much more awaits you at the spa resorts and day spas in Gastein. Discover anew your inner and outer beauty in Gastein’s beauty spas!